In the world of forced-air heaters, the two most accessible fuel choices are electricity and natural gas. Some homeowners have been using the same fuel forever, simply because they haven’t considered the other option. In some cases, they’re shopping for heaters and are now weighing the options. 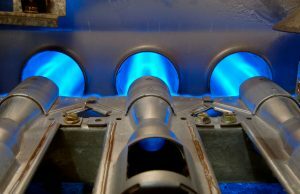 In this post, we’ll explain how gas and electricity vary in two common forced-air heaters: the furnace and the heat pump.